Ekki til útláns – Renewed library books? ARKIRNAR hafa ýmis verkefni á prjónunum. Eitt þeirra hófst í síðustu viku þegar okkur bárust margir kassar af bókum sem lokið hafa hlutverki sínu á bókasafninu. Bækurnar munu nú ganga í endurnýjun lífdaga sem efniviður í bókverk og ef allt fer að óskum: verða til sýnis á sérstakri sýningu. Myndirnar voru teknar á meðan við handlékum bækurnar um leið og við ræddum verkefnin framundan. 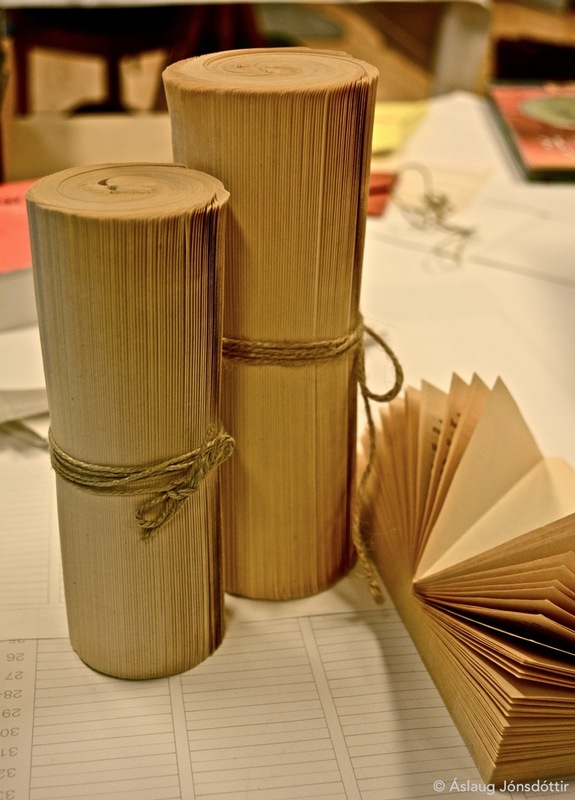 ARKIR have several projects running and one of them started last week when we received loads of old library books which will be “renewed” for the last time, when serving as material for book art objects. If all goes according to the plan, the books will end up in a special exhibition. These shots were taken when we were discussing future projects and meanwhile just handling the books. Í vor heimsóttu Arkirnar Reykjavík Letterpress, galdrasmiðju þeirra Hildar Sigurðardóttur og Ólafar Birnu Garðarsdóttur. Tilgangurinn var að skoða ýmsa möguleika klisjuprentunar í bókagerð. Hildur og Ólöf reka þessa einstöku prent- og hönnunarstofu á Lindargötu 50, en þar drjúpa gæðin af hverri prentörk. Fallegur pappír, litir og áferð, hönnun og handbragð, allt ber að sama brunni. Hildur og Ólöf endurguldu svo heimsóknina nokkrum vikum síðar og litu inn á fund hjá Örkunum. Hver veit nema vænta megi samstarfs í framtíðinni! Takk fyrir okkur! 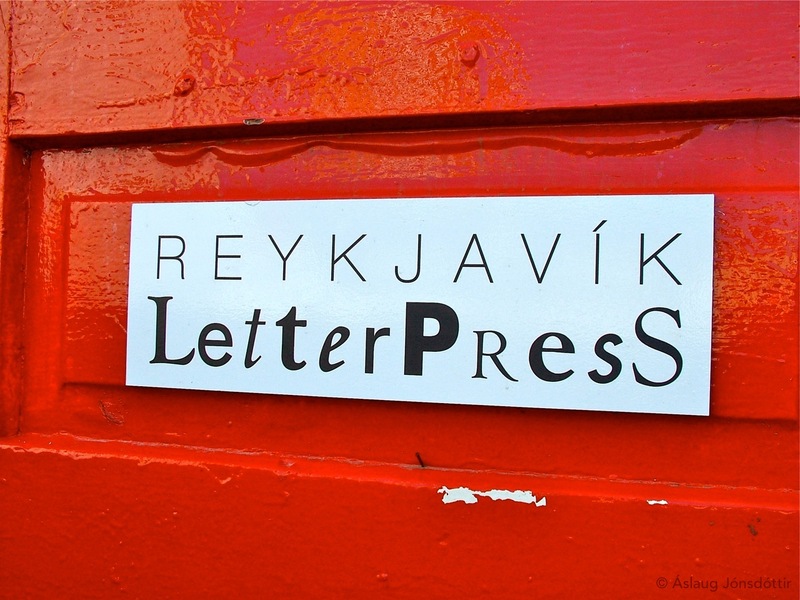 Earlier this year we visited Reykjavík Letterpress, a design studio and letterpress print shop in Lindargata, run by Hildur Sigurðardóttir og Ólöf Birna Garðarsdóttir. We were eager to learn more about this old technique and its modern twists. It was truly inspiring to see samples of Hildur’s and Ólöf Birna’s quality design and craftmanship in the studio. 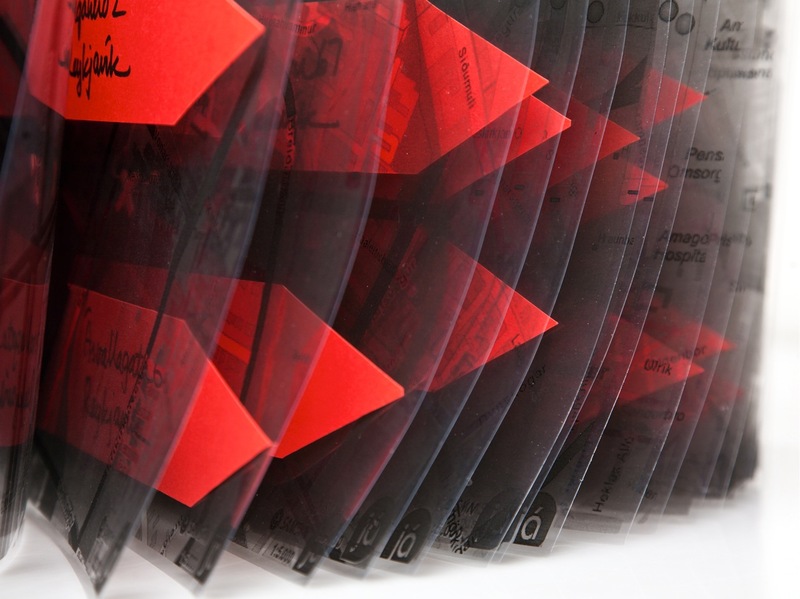 Couple of weeks later we had Hildur and Ólöf on visit for further talks about book art and printing. 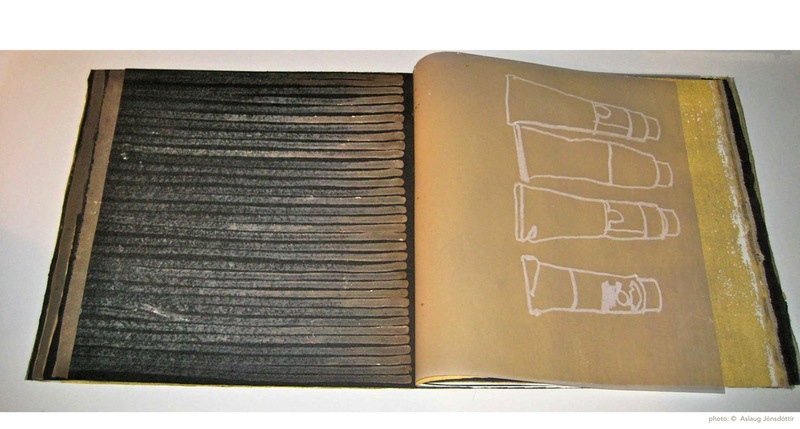 Who knows, perhaps we can look forward to collaboration in the art of book making! „Heimilisföngin eru skrásetning á staðsetningu minni á afmörkuðum tímabilum í lífi mínu. Vegakort eru mér myndræn upprifjun, sem tengjast minningum um lífið og tilveruna á tilteknum stað og á því heimili. “The addresses are registration of my location on specific periods in my life. The maps are to me a visual review connected to memories of the life I lived in that area and at that home. Arnþrúður Ösp lauk listnámi frá textíldeild MHÍ og kennaranámi frá Håndarbejdet Fremmes Seminarium í Kaupmannahöfn. Hún vinnur textílverk og bókverk og hefur sýnt á sýningum hérlendis og erlendis. Hún býr og starfar í Reykjavík. Arnþrúður Ösp studied textile arts at The Icelandic College of Arts and Crafts in Reykjavík, Iceland, and took a degree as a teacher from Håndarbejdet Fremmes Seminarium in Copenhagen. She works in textile and book art, and has exhibited in Iceland and abroad. She lives and works in Reykjavík. efni og aðferð: Ljósmyndir, stafræn prentun, pappír og pappírsklipp. Eitt verka Helgu Pálínu Brynjólfsdóttur á sýningunni Heim : Heima nefnist Friðsæl heimili. Þegar bókin er opnuð rísa upp mosagrónir legsteinar. Við spyrjum Helgu út í titilinn: Er síðasta heimili okkar friðsælt heimili? One of Helga Pálína Brynjólfsdóttir’s artwork at the exhibition Home is called Peaceful homes. 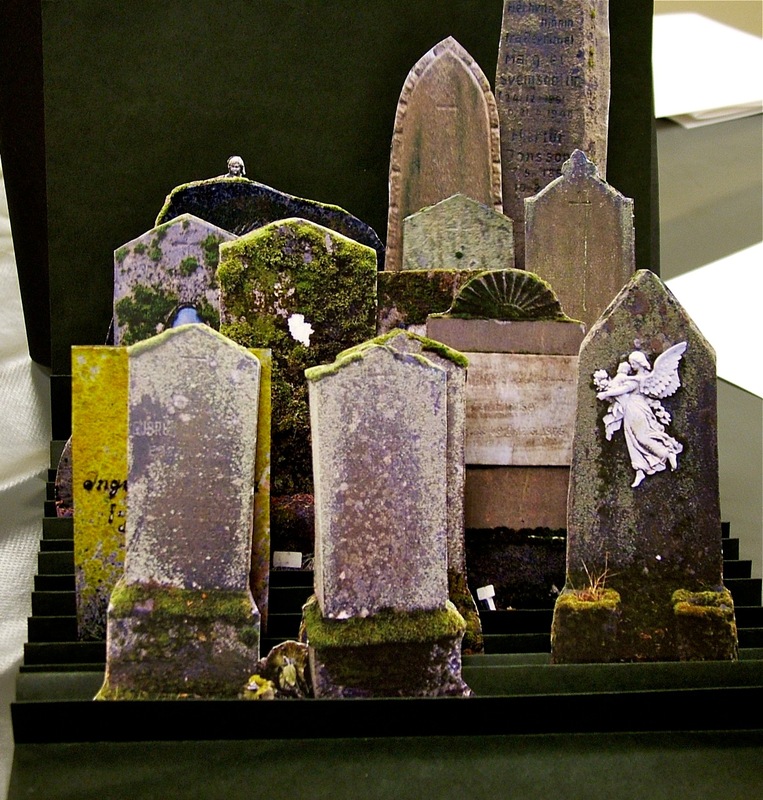 When the book is opened rows of mossy gravestones pop up. 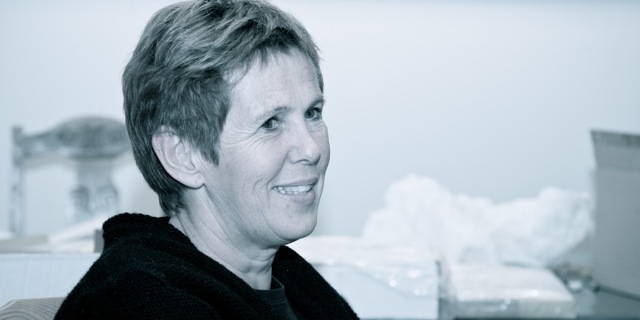 We ask Helga Pálína about her work: is our last residence a peaceful one? Helga Pálína lauk listnámi UIAH, Listiðnaðarháskólanum í Helsinki, Finnlandi, og námi í kennsluréttindum frá Kennaraháskóla Íslands. Hún vinnur að margvíslegum textílverkum og bókverkum sem hún hefur sýnt á sýningum hérlendis og erlendis. Hún býr og starfar í Reykjavík. Helga Pálína studied textile arts and design at UIAH, The University of Art and Design in Helsinki, Finland, and finished teaching ecucation at the School of Education / University of Iceland. She works on her textile and book art which she has exhibited in Iceland and abroad. She lives and works in Reykjavík.